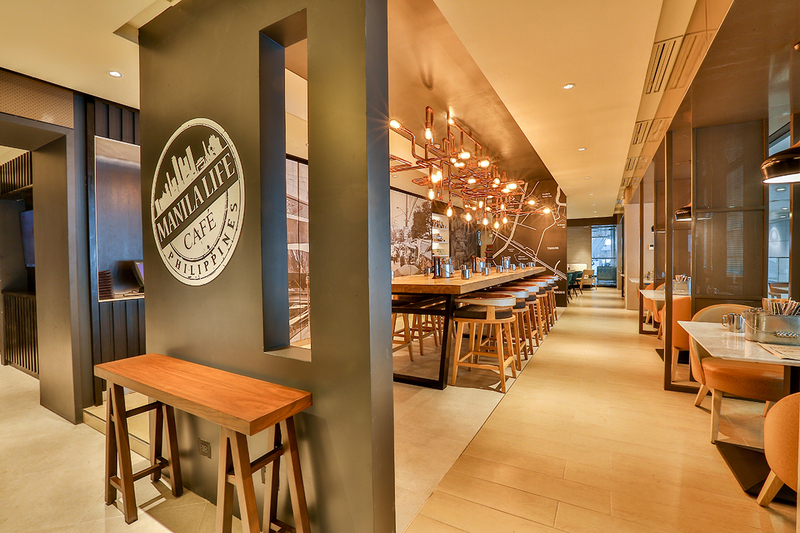 Marriott Hotel Manila brings its exceptional culinary expertise across the street with Manila Life Café, a casual dining outlet serving a new take on Filipino cuisine and more. 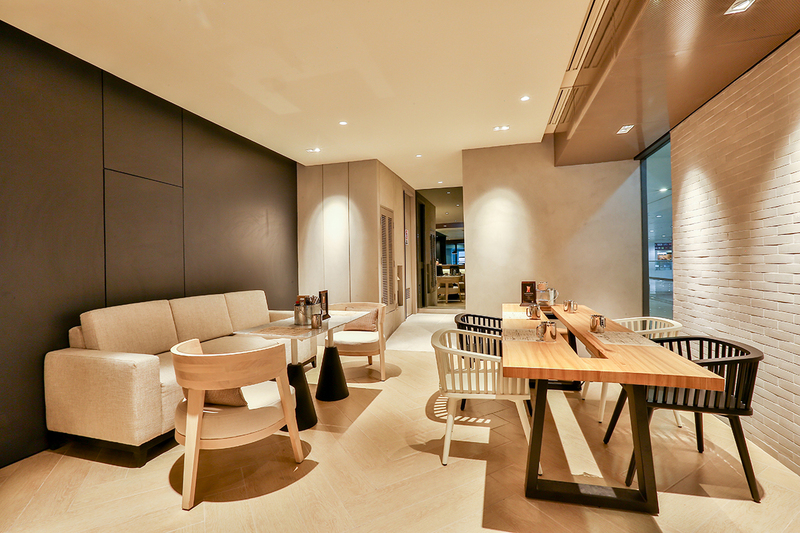 The café opened its doors with its new exciting flavour last October 14 which can accommodate as much as 94 persons. Isn't it that one of the most popular travel tips, especially in Manila, is to be at the airport 3 to 4 hours before your actual flight. So with a couple more hours of waiting, what do you do while passing time? You eat it out! 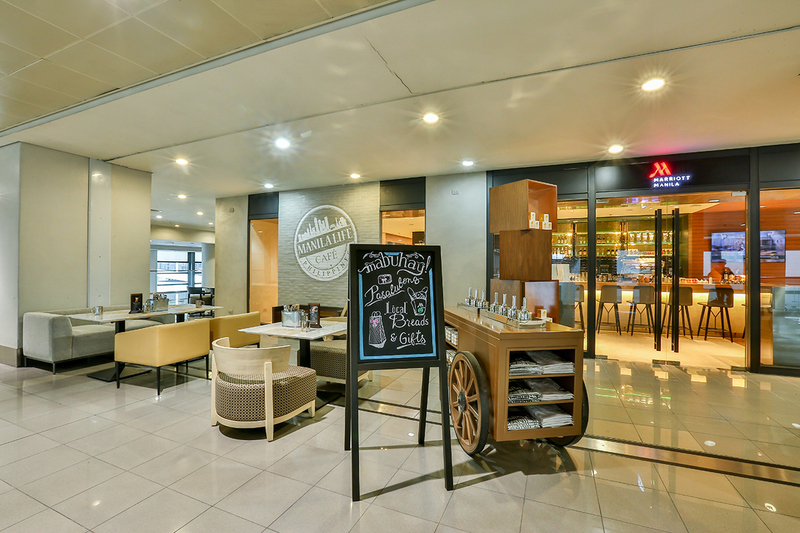 Manila Life is located on the 4th floor of the NAIA Terminal 3 and at the tail-end of the newly built Runway Manila. 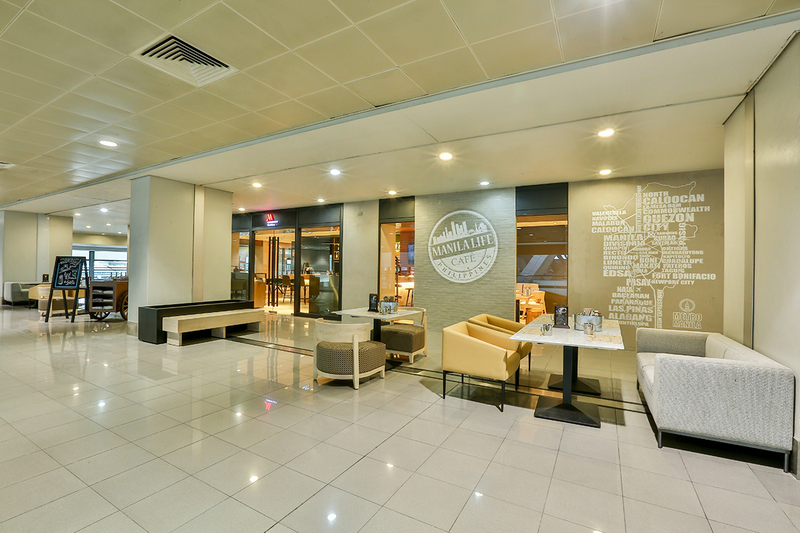 The modern pedestrian, Runway Manila, directly connects the airport and Newport City Complex creating a seamless, more convenient and pleasant transit experience in the area. The gray bricked walls with Manila Life Café stamp is hard not to notice. While it’s bright lit, spacious and cozy interiors will just invite you in. Instagram-worthy as they say, that with or without a flight, sumptuous bowl of their Pancit Luglug is a reason to visit the airport. 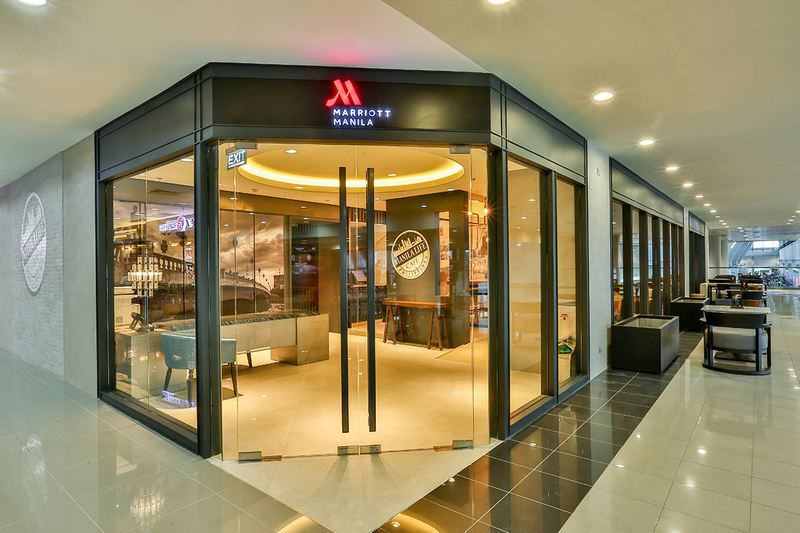 Marriott is always a step forward for designing Manila Life as an extension of their hotel with front office services from 11am to 8pm. 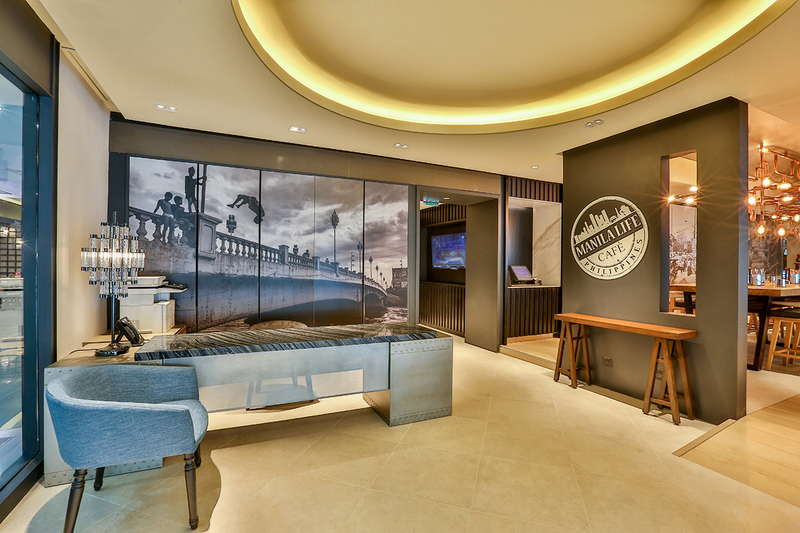 You may do your check-in or out, settle payments, walk-in room reservation and other concierge services. 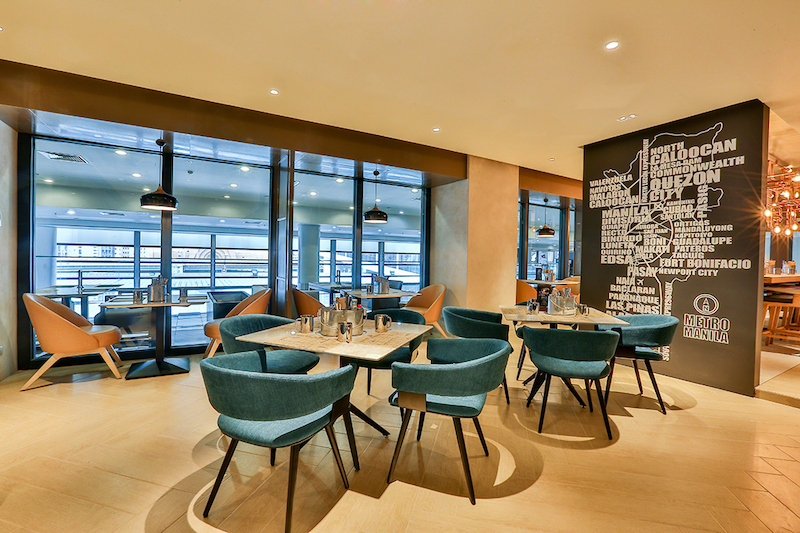 Guests in a hurry for a flight can go here to settle their rooms, grab a bite and fly out. Top of the menu is the All-Day Almusal (breakfast) option that includes “Tapdelog”, tapa and egg stuffed in a pan de sal. and Manila Sunrise Plate that combines homemade pork longanisa, tocino and eggs over garlic rice. For snacks to share, there is the Manila Street Food Platter, a fancy take on the “tusok-tusok” street food that includes homemade fish balls, chicken fritters and quail eggs. Western comfort foods such as tacos and burgers get a Filipino twist to cater to both local and foreign palates. 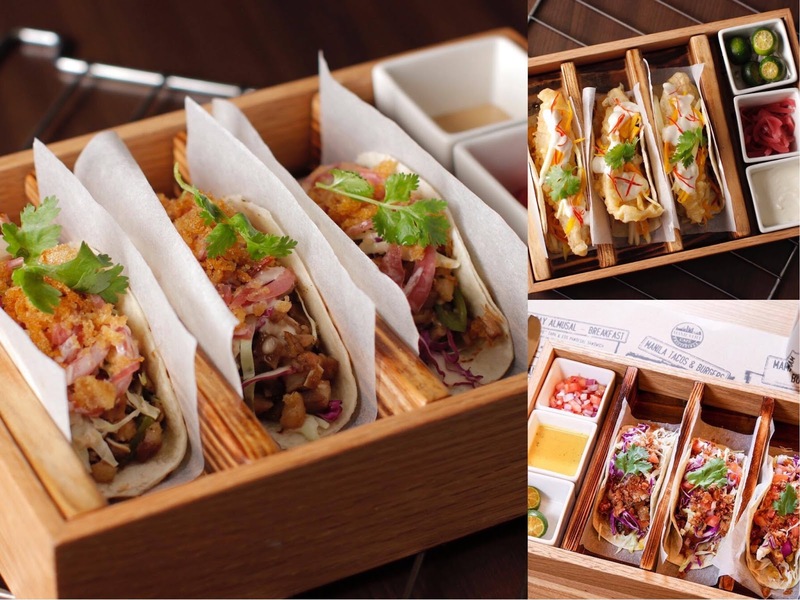 The variety of tacos can either have Pork Sisig, Crisp Mahi Mahi Fillet or Chicken Inasal. Named after the restaurant, their Manila Life Bacon and Mushroom Burger could be their signature as it is made of mushrooms from a quaint community in Tagaytay. Not to mention its 100% pure beef patty and criss-cut fries on the side. Filipino dining is not complete with rice and so is Manila Life Café. 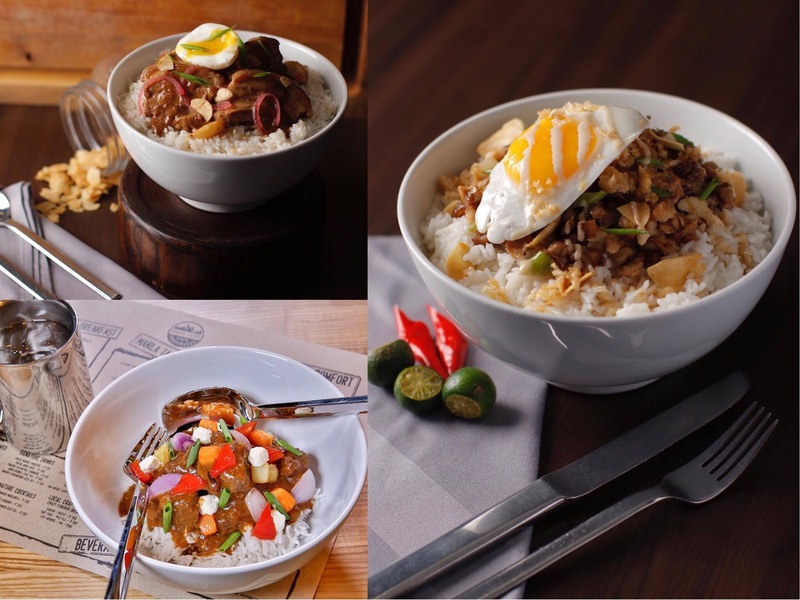 All-time favorite rice dishes are reminiscent to mom’s cooking such as PorK Adobo, Beef Kaldereta and Sisig Rice. Another highlight is the It Takes Gutz Bam-I inspired by the recipe of beauty queen and actress Ruffa Gutierrez from her hometown in Cebu. It is a noodle dish packed with chicken strips, sliced pork, shrimp, Chinese chorizo, wood ear mushroom and vegetables. It is a mouthful indeed! Of course every destination is not complete without a souvenir, so they partnered with Filipino designer Jeffrey Rogador for some retail items like sunglasses and stylish bags. Grab-and-go freshly baked bread and cookies that goes best with their mango jam. 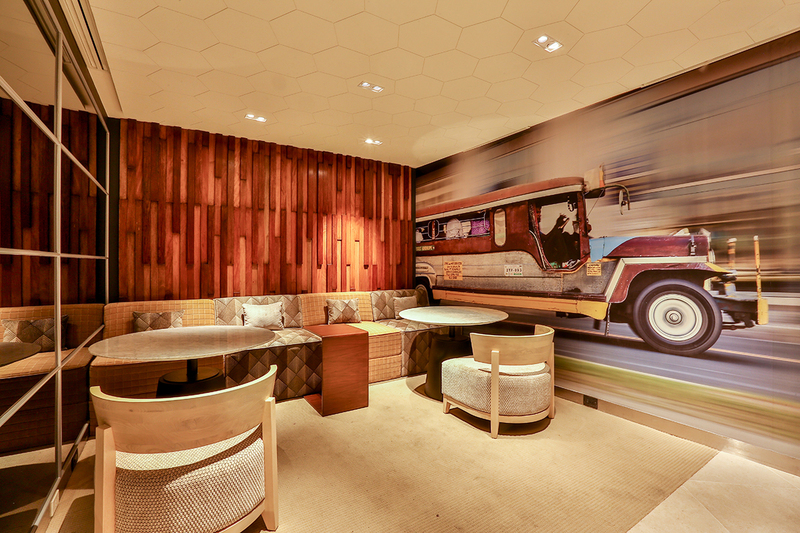 Manila Life elevates the Filipino cuisines and hospitality notches higher, keeping everyone coming back, because Marriott believes that there is really no place like Manila. Manila Life is open daily (Mondays to Sundays) from 7am to 8pm. To know more about Manila Life, call (632) 988-9999 local or visit the hotel’s website (www.manilamarriott.com), Facebook (MarriottManila), Twitter (@marriottmanila), and Instagram (@manilamarriott).